Recent posts are listed below in nice big blocks. Just click on one to read it. You’ll notice you can access older posts through the drop-down Archive menu on the right-hand side. I began this blog in August 2010. You can read my posts all the way to then if you’d like. If you’re looking for a particular post, you can search by keyword. A few of my most-read older posts have been: Shawshank; A Case of Chemo and a Gallon of Regret; and Learning to Float. A few personal favorites of mine include: On This Day, Crossing Over, Eighteen, Cloudwish, In Her Eyes, and Stairway to Heaven. The menu at the very top of the home page shows categories of my writing to help narrow your search. This way, if you’d like to read a sermon, or an article on Gun Violence, for example, you can find one more easily. Speaking of Gun Violence, in December 2012, I published three pieces in the wake of the Sandy Hook school shootings: Newtown, Guns, and Molan Labe form that trifecta. Molan Labe was written by my friend, Tony Winkler, USMC. His piece serves as a counterpoint to my post entitled Guns. Together, the two posts are a discussion by two friends who agree on very little except our mutual respect and appreciation of the other. As Tony likes to say, he would not want his pastor to necessarily share his worldview; and I would add that it’s probably best that our military not share mine. If you’re interested in hearing me preach, I am currently serving at King of Kings Church in Ann Arbor Michigan and typically preach Sundays at 9:30 a.m. I appreciate your taking the time to read my writing. I welcome your feedback and appreciate your understanding that this blog isn’t set up for ongoing debate. I do NOT post every comment nor do I reply to individuals through this BLOG. If you’d like to contact me to speak at an occasion or to write something specific, please click on “Contact Me” and a form will magically appear for you to fill out. I’ll get your request in my email. Please feel free to share a post with someone using the buttons at the bottom of the post. And about my name: marinawell is a shortened version of my birth-given name, often run together when spoken by either of my parents: Marie Noelle. My father, Gerald Robert Duquette, died in 2001. He was a good man; a good father. I miss him. 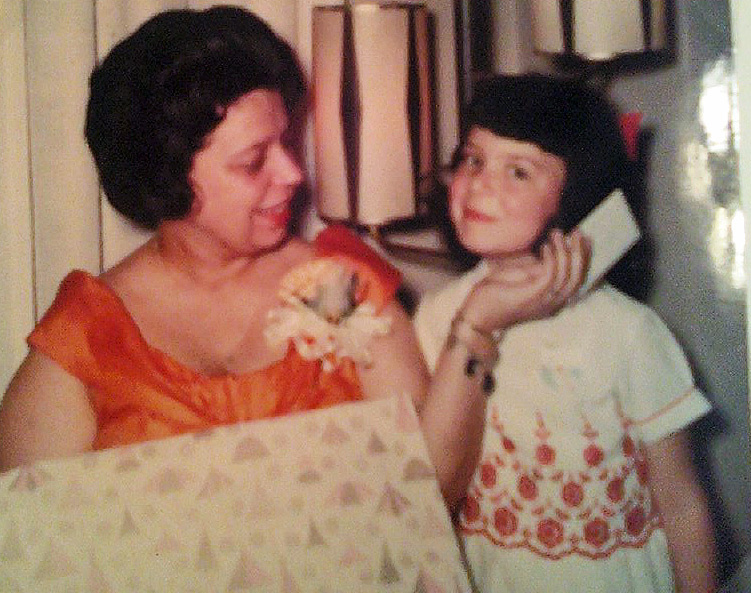 Below is a photo taken when I was five years old with my mom, Carole Duquette Kuehn. She has been encouraging me to write from the time I could hold a crayon. I hope you enjoy my writing as much as she does. Thank you for your support. I Love you, Mom. We enjoyed “Given Moments”.A nice thought-full read. I recall always loving your writing and wit, my old friend. How many years has it been? 18? 20? I am so happy to have found you again, especially at this crossroads in your life. I’d almost lost hope of ever reconnecting. Thank goodness for social media! Donna!!! I have LOOKED FOR YOU. What a gift that you would find me…and right NOW?! Amazing (grace) : ) Email me: pastorduquette@gmail.com… 15 years is a lot of catching up to do. Too great. Oh yeah… talk to you soon!! !